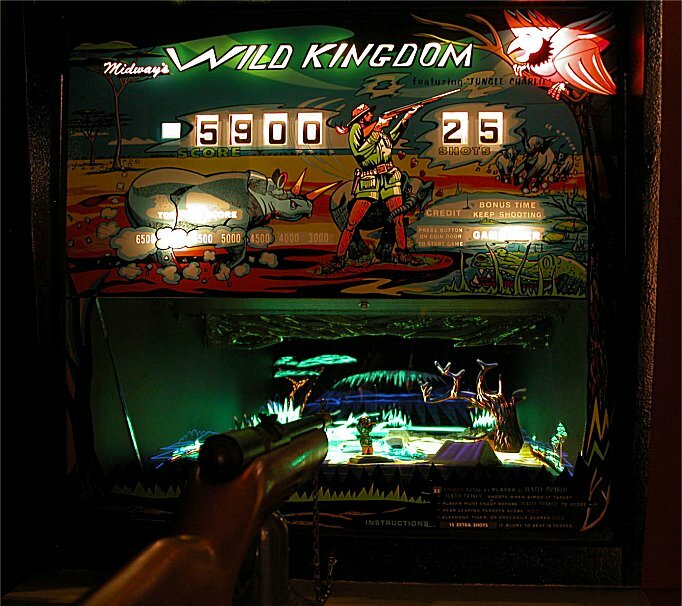 Wild Kingdom arrived in the Repair Station playable but with problems. One of the problems was the crocodile target did not work properly. 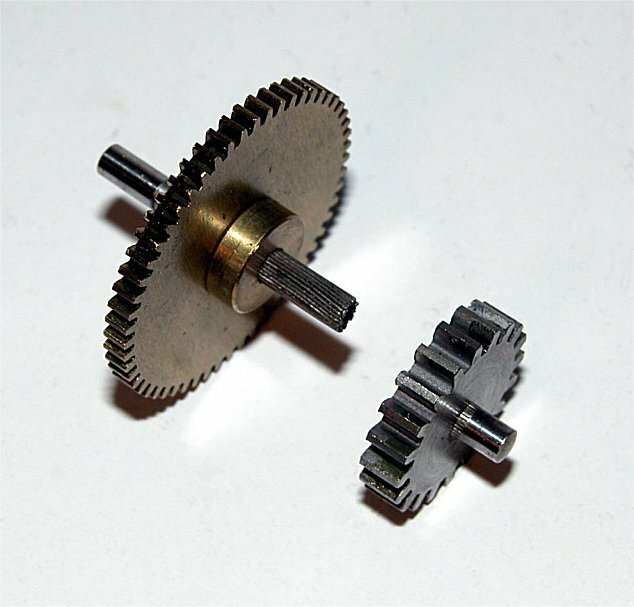 After disassembling the target a broken shaft was found in the gearbox. The shaft was was no longer available so I decided to machine one myself. I used 0.125" drill rod to start and then measured the bronze bushings in the gear case. They were worn so when I cut the shaft to length I turned down each end for a running fit of 0.0005". I put a nice micro finish on the bushings. The gear lash was horrible on the original set up but after tuning in the bushings it is now set just right. Unable to roll such a small precision spline at home I decided to cut a series of grooves in the shaft withy my Bridgeport. 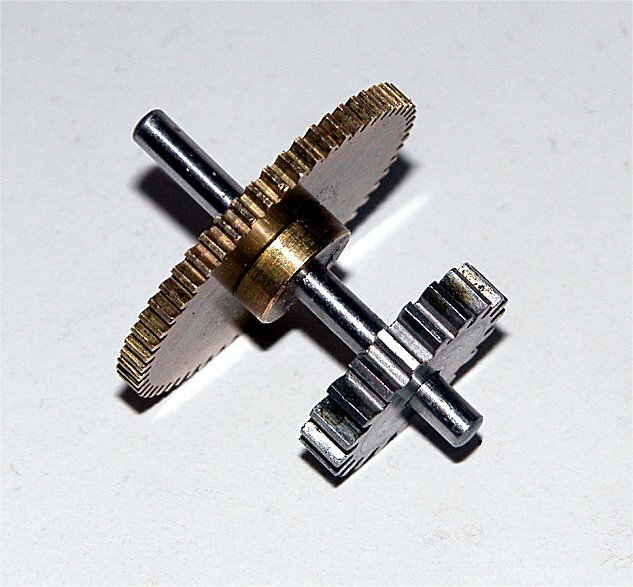 I then prick-punched the shaft to create a 0.003" interference fit to the gears. With a little 660 Loctite I set them at the exact distance they need to be for a proper fit to the mating gears. The original alignment was off by about 0.020" but not too shabby for an EM game! I also had to drill apart the original gearbox to do the shaft replacement. Funny you have to use a South Bend lathe and a Bridgeport to make a little plastic crocodile work! Reconstrcuting the shaft was difficult but rebuilding the gear box was just as hard! The gear box case was not meant to be taken apart so the rivets holding it together had to be drilled out in order to get to the broken shaft. Once the shaft was repaired the case was put back together with screws so it could be easily opened if future repairs were necessary. The 8-track player inside the game worked but only on an intermittent basis. 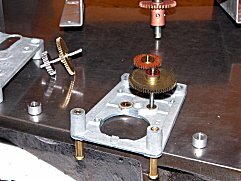 The player was removed from the game and taken apart. Usually the drive belt would be dried up but other than slipping it appeared to work fine. I cleaned the belt and it now worked smoothly but the tape still did not play correctly. Thus, I decided to remove and repair the motor. The resistors that started the motor were found to be faulty. 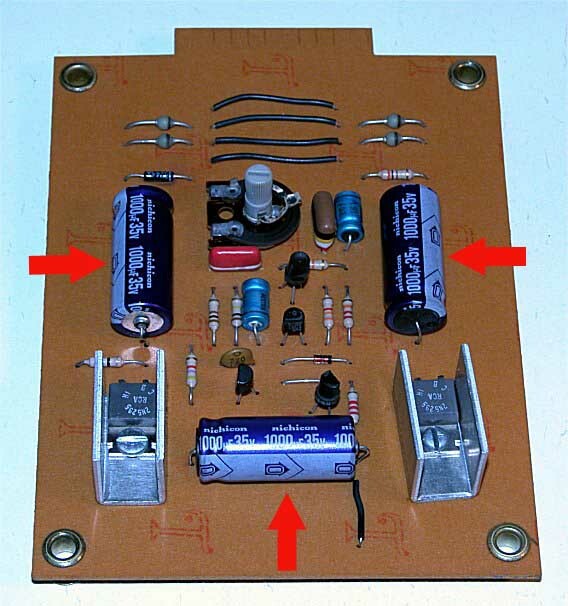 The resistors were replaced and the armature was cleaned and balanced. 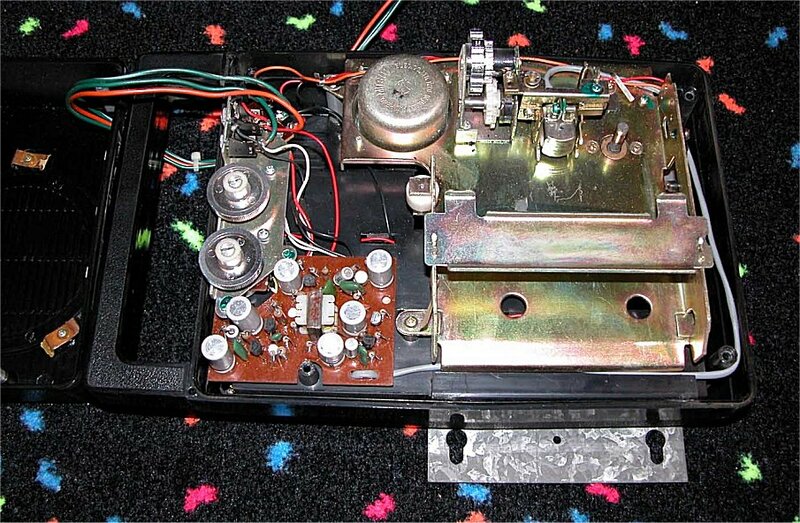 The 8-track player was reassembled, tested and found to function correctly. The sound in the game worked but was full of static. It turned out that the three electrolytic 1000mfd capacitors on the sound card had dried out. I also cleaned the relay switches that were near the sound card to avoid any possibility of interference. Once the capacitors were replaced and relays cleaned the sounds were nice and clear. The plastic trigger guard on the gun was broken. Although this did not effect game play I still wanted the game to look good as well as function properly. A broken gun with a good trigger guard was acquired and the switch was made. 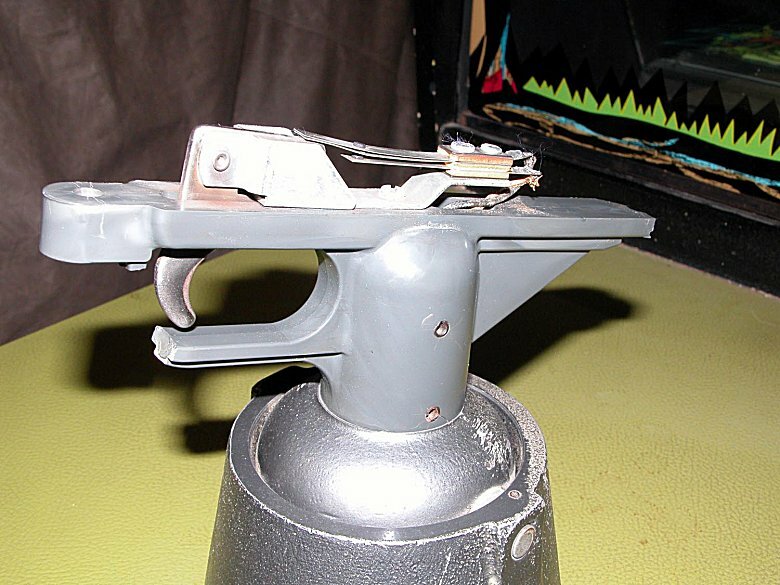 Before the gun was reattached I repaired the solenoid that made the gun "kick." 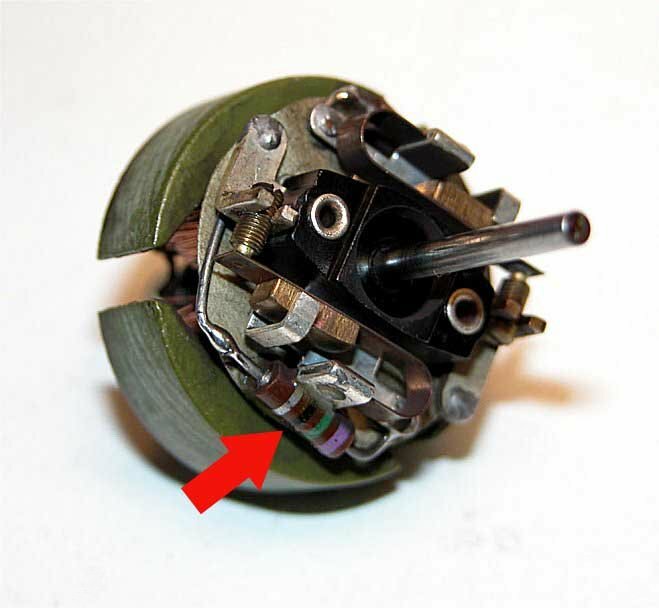 The wires that went to the solenoid had been cut after years of moving the gun back and forth. Once repaired the gun will kick like a real rifle. 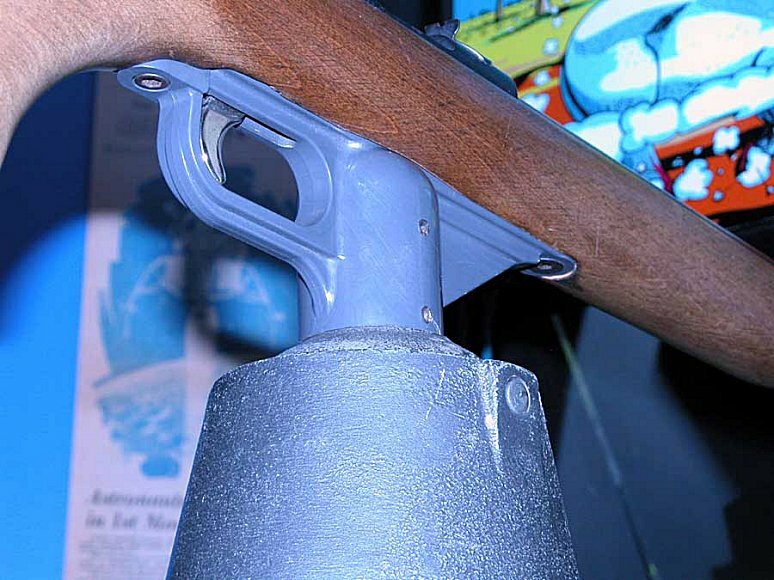 The gun was polished and reattached to the game. It functioned properly and now looked good too! A final repair was rewiring the game to allow it to accept dimes. I gave the game a good cleaning, changed a few burned out bulbs and Wild Kingdom was ready for action! Look out Jungle Charlie there is a new big game hunter in town!